This history was complied and written by Matt Farragher as an internship project. The city of Youngstown has many historic landmarks. There are monuments erected to the veterans who served in America’s wars, buildings downtown constructed by past business and commercial leaders, and hulking steel mills that employed countless area workers. There is one place that captures all of these accomplishments and concentrates them into 25 acres of rolling hills and beautiful landscaping, Oak Hill Cemetery. On these grounds you can find some of the earliest settlers, industrialists, entrepreneurs, people from all walks of life interred together under the trees along Oak Hill Avenue. Some may have erected massive monuments and mausoleums, while others suffice with a humble gravestone. No matter the size of their marker each is now a part of the rich history of this place. The origins of Oak Hill Cemetery go back to 1850 when a group of Youngstown residents joined together to form the Mahoning Cemetery Association. The first cemeteries in Youngstown were situated in the downtown area on either side of Market Street at the corner of Wood Street. When the downtown area began to grow and the sanctity of these burial grounds was infringed upon this group of individuals decided to establish a cemetery park outside the hustle and grit of the city. Some of the most important names in Youngstown at the time were involved in founding the Mahoning Cemetery Association. After meeting to discuss their options over the course of two years they formally organized in 1852 when they each subscribed to the articles of corporation. In 1853 the association bought 16 acres from Dr. Henry Manning, first Chairman of the Mahoning Cemetery Association, along the southern bank of the Mahoning River. The Association immediately set about completing the necessary improvements and began with burials a short time later. The first persons to be buried at Oak Hill were some of those already interred in the earlier cemeteries and then moved here. Some of the stones from these individuals date as far back as 1811. In 1856 Dr. Manning sold an adjacent 3 acres of property to the township of Youngstown for them to use as a burial ground for their residents. In 1865 the amount of maintenance at the cemetery necessitated a full-time superintendent. At this time one of Dr. Manning’s sons, James, was operating a greenhouse and nursery business with a German immigrant named John Brenner. 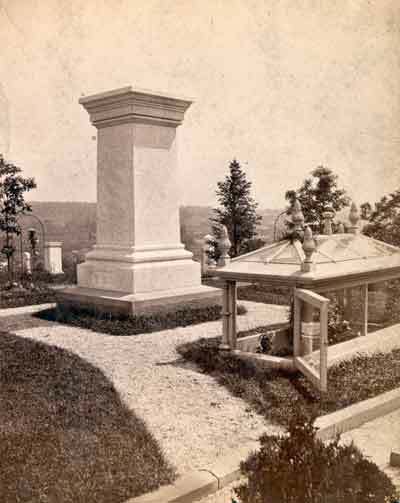 Brenner was hired as the first superintendent of Oak Hill, and for a time crafted many of the early grave markers. 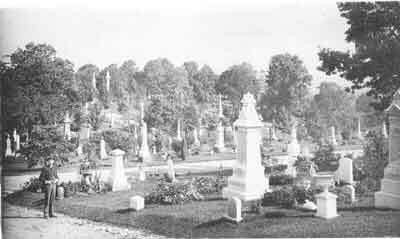 Beginning in 1887 Oak Hill Cemetery operated a “potter’s field” for the destitute of Youngstown who could not afford a proper burial. The city would pay the fees and materials for these poor individuals and the cemetery would bury them in the designated section that abutted School Street. The “potter’s field” only lasted until 1890 when the Board of Health deemed it unsafe and ordered the remains to be removed. In 1924 Oak Hill was again put in charge of the Youngstown “potter’s field.” Those moved to the cemetery at that time can now be found in the Youngstown Township Cemetery section in the northwest corner of the cemetery. In 1922 the Mahoning Cemetery Association, lead by Henry M. Garlick, began a campaign to establish an endowment to insure the perpetual care of the cemetery grounds. Over the span of just sixteen months they were able to raise more than $500,000 from the families owning plots at Oak Hill. After the endowment was established each individual who bought a plot would also have to pay into the endowment. By starting this endowment H.M. Garlick would help Oak Hill become one of the best endowed cemeteries in dollars per acre in Ohio. With the funds raised from the endowment Oak Hill was able to make numerous improvements to the grounds. They installed 6,000 yards of macadam road, constructed a 1,400 foot perimeter fence that stood 11 feet high along the northern border, leveled off many of the graves, and planted more than 200 trees and shrubs. To make sure that the cemetery was among the most beautiful in the area they hired a prominent landscape architect named Warren H. Manning. He was a self taught designer and an associate of Frederick Law Olmstead. Manning had completed a number of commissions in the area including Stan Hywet Hall and Goodyear Heights in Akron. 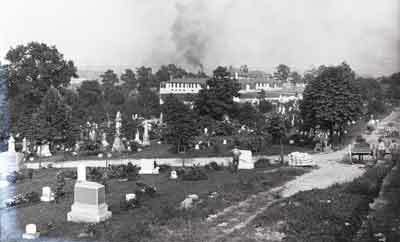 In 1934 the cemetery built a new administration building in the western part of the grounds due to their need for a building to house the equipment along with serving as an office for the superintendent and employees. In 1958 the small garage section was turned into a chapel, and has served such a purpose until 2006. Further improvements to the cemetery include the granite gates erected at the corner of Oak Hill and High Streets in 1962. Today Oak Hill Cemetery stands as memorial to all interred here. There are industrial giants and the common working man, heirs to fortunes and simple paupers. The monuments and tombs that mark their final resting places are historic documents that tell their tales for all who come here. They may have had very different lives but now they lay as equals side by side. There are approximately 25,000 persons buried along the hillsides and each has their own story. Walking Tour guides of Oak Hill Cemetery will be available during the City of Youngstown’s annual Zombie Crawl, October 27th beginning at 2:00 p.m.